Power Consumption is one of the most important factors that many people take into account when buying a graphics card. Almost all powerful gaming graphics cards require external power from the power supply in addition to the power supplied by the PCI Express x16 slot. These gaming graphics cards require 6-pin or 8-pin PCI-E power connectors from the PSU for their working. 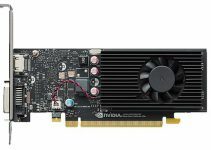 Most of the Mid-range graphics cards uses 6-pin PCI-E connector and high-end graphics cards use one 8-pin or both 6-pin and 8-pin or two 8-pin PCI-E power connectors. Obviously you need a good and powerful power supply for graphics cards that needs external power from the PSU. Also the PSU you are buying should have sufficient number of 6pin and 8pin PCI Express power connectors. This can be a problem for some people who don’t want to change their power supply but want a good powerful graphics card that can run latest games at 1080p and does not require external power from the PSU. 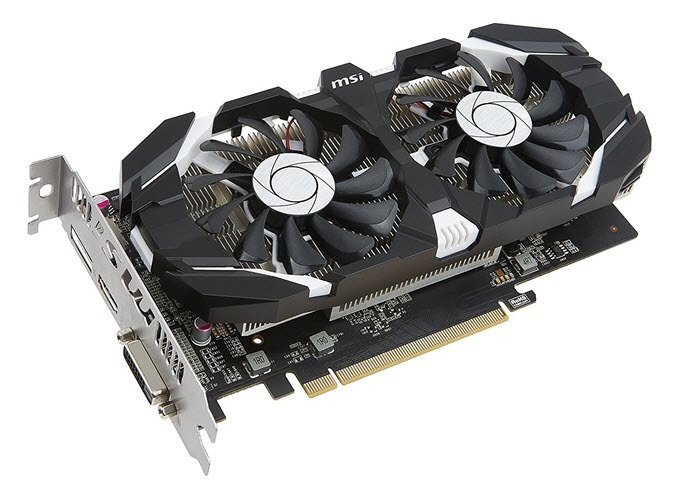 There are some mid-range graphics cards available in the market that are quite powerful and they do not need any external power connector from the power supply. Here in this post I am going to provide you the list of such gaming graphics cards with no external power connector. All these below mentioned graphics cards have power consumption of 75 Watt or lower because they draw their power from the motherboard PCI-E x16 slot only that can provide maximum of 75W of power. Here the best low power GPUs from NVIDIA and AMD that does not require external power connectors from the PSU. These graphics cards have lower power consumption, are powerful and are quite affordable. 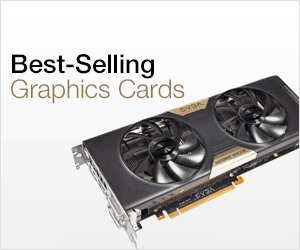 GeForce GTX 750 Ti is a very popular mid-range graphics card. It might be a little older because of the launch of newer and faster GTX 1050 Ti graphics card but it still packs some punch and can run most of the games at 1080p. GTX 750 Ti is based on the Maxwell GPU architecture. Here we have MSI GeForce GTX 750 Ti GAMING OC graphics card that comes with 2GB GDDR5 memory. This GTX 750Ti card from MSI is overclocked for achieving greater performance in games. It comes with TWIN FROZR Dual Fans cooling system that keeps the card temperature under control even during continuous gaming. Also the two fans are very silent and they are almost unhearable at low loads. It is a powerful card and you can play most of the games on high settings with playable frame rates. The maximum power consumption of this card is 60 Watts and it needs a good 400W PSU for its working. For connectivity, it includes VGA, DVI and HDMI ports at rear. GeForce GTX 1050 is a budget mid-range graphics card and is more powerful than GTX 750 Ti. GTX 1050 is based on the latest Pascal GPU architecture from Nvidia. Here we have MSI GeForce GTX 1050 2G OC that comes with 2GB GDDR5 memory and is overclocked for better performance. 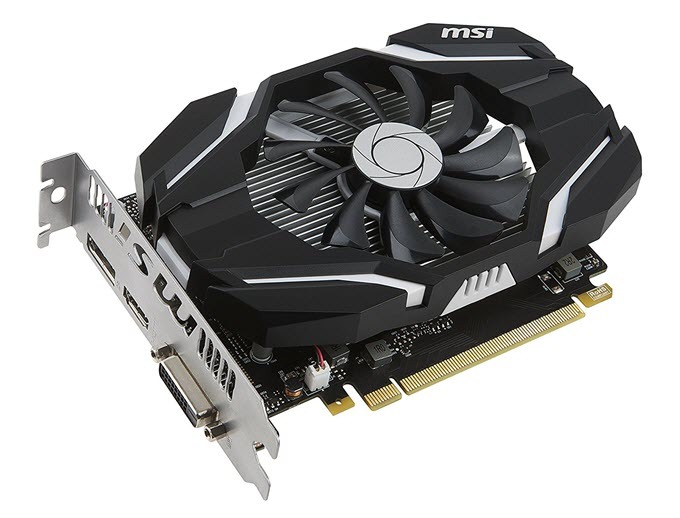 MSI GeForce GTX 1050 2G OC is pretty compact in size and it comes with a single fan and heatsink. It does have dual slot design but due to its shorter PCB length it may fit into mini-ITX cases. It can let you play latest games on medium-high settings and older games at ultra settings at 1080p resolution. This card consumes 75 Watts of power and needs a good 300W power supply for it operation. Connectivity options include DVI, HDMI and DisplayPort. You can get this amazing budget graphics card a tad above 100 dollars. ZOTAC GeForce GTX 1050 Ti Mini is one of the best graphics cards that does not require external power from the PSU. The card is based on the Pascal GPU architecture and comes with 4GB GDDR5 memory. It is also a small form factor compact graphics card that can fit in almost all of the mini-ITX cases. The card comes with single 90mm fan cooling and has dual slot design. This is a powerful graphics card and can run latest games on high graphics settings at 1080p with comfortable frame rates. The card has power consumption of 75W and requires only a 300W PSU for its working. Connectivity options include DVI, HDMI and DisplayPort. P.S. – You can also get the overclocked edition of this GTX 1050 Ti card which is ZOTAC GeForce GTX 1050 Ti OC Edition. It has got dual fans, higher frequencies and performance without the need of external power from the PSU. GeForce GTX 1050 Ti is the best mid-range graphics card that you can get for your gaming PC. GeForce GTX 1050 Ti is around 30% faster than the plain GTX 1050 and the advantage of extra 128 CUDA Cores does makes difference in the performance of GTX 1050 Ti. 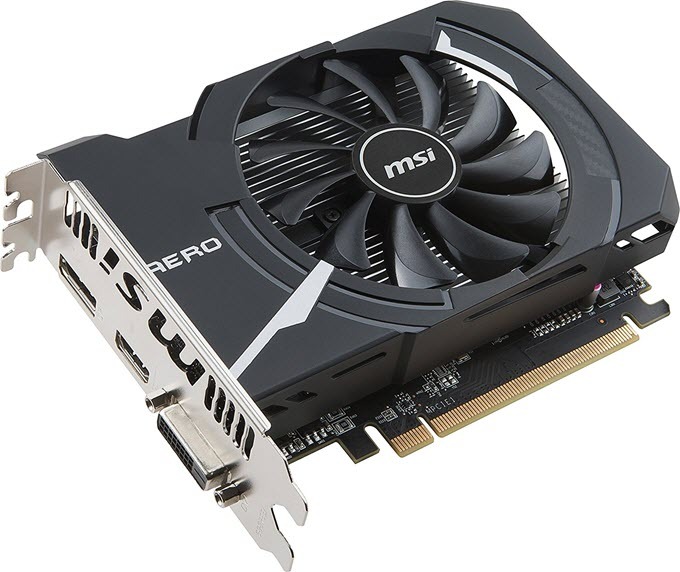 Generally GTX 1050 Ti requires PCI-E power connector from the PSU but this version of GTX 1050 Ti from MSI draws all it power from the PCI-Express x16 slot and it does not need any external power connector. MSI GeForce GTX 1050 Ti 4GT OC is a pre-overclocked card that comes with 4GB GDDR5 video memory. The card has got dual fans thermal design and requires two slots for its accommodation. It is built on the latest Pascal GPU architecture from Nvidia and on this card you can play latest games on high settings at 1080p. The maximum power consumption or TDP of this card is 75W and it requires only a good 300W PSU. It has got DVI, HDMI and DisplayPort as display ports or connectors. GeForce GT 1030 is an entry level budget graphics card from Nvidia. It is a newer graphics card in the GeForce 10 series lineup and is based on the Pascal GPU architecture. The card comes with 384 CUDA Cores and 2GB GDDR5 memory. This graphics card is powerful than the integrated graphics solution and is suitable for eSports gaming, playing older and mid-level games, video editing, watching 4K movies or 4K display and for running normal graphics applications and softwares. 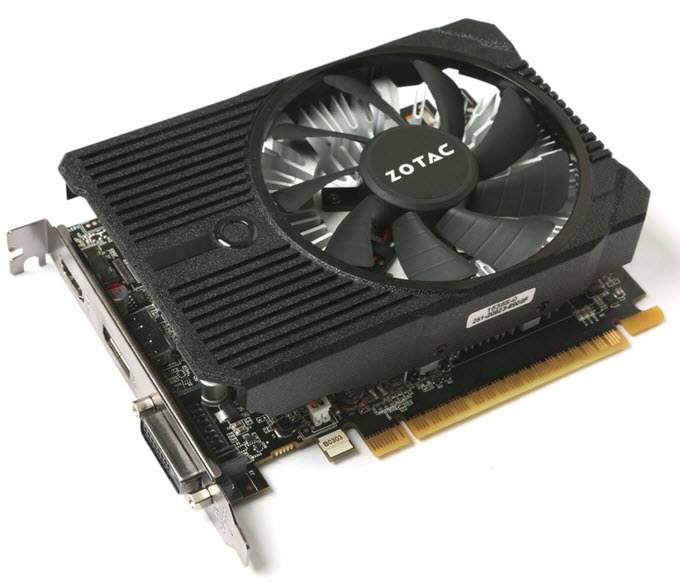 Here we have ZOTAC GeForce GT 1030 2GB GDDR5 Low Profile Graphics Card that has got single slot design. The card has got a small single fan and heatsink which is enough to keep its temperature under normal levels. For connectivity, the card comes with DVI and HDMI display connectors. The card has maximum power consumption of 30W only and it does not need any additional power connectors from the PSU. The card requires only a 300W PSU for its working. At rear you can find DVI and HDMI ports for connectivity. So if you are looking for a latest low-end budget graphics card under 100 dollars with much lower power consumption then this card will not disappoint you. If you are looking for a powerful AMD graphics card with no external power then Radeon RX 460 is the best in the business. Radeon RX 460 is unarguably the best budget mid-range graphics card in my opinion because it offers best value for money. The card is relatively cheaper than the cards in this list and it offers great performance in its segment. Radeon RX 460 is faster than GTX 750 Ti and has performance almost equal to that of GTX 1050. Here we have Gigabyte Radeon RX460 WINDFORCE OC 4G graphics card that comes with 896 Stream Processors and 4 GB GDDR5 VRAM. The card has got dual fans and dual slot design. The WINDFORCE 2X cooling system with dual fans is very quiet and it does a great job in keeping the graphics card temperature down. This is an overclocked version of the card which means you will get slightly better performance than the stock RX 460. Gigabyte Radeon RX460 can run latest games on medium-high settings and you can play medium level or older games at high / ultra settings at 1080p. The maximum power consumption this card is less than 75W and it requires a 350W power supply for its working. Connectivity options include DVI, HDMI and DisplayPort. Radeon RX 550 is a budget graphics card from AMD in the Radeon RX 500 graphics card series lineup. The card is built on the Polaris GPU architecture from AMD and comes with 512 Stream Processors. This card is suitable for playing mid-level and older games on decent graphics settings and you can play eSports titles on high settings. You may also be able to play some of the latest games like Overwatch on low-medium settings on this card. It is fairly powerful card for the price and has maximum power consumption of only 50 Watts. Here we have Gigabyte Radeon RX 550 Gaming OC 2G that comes with 2GB GDDR5 memory. It is an overclocked Radeon RX 550 graphics card and it comes with WINDFORCE 2X Cooling System with Dual 90mm Blade Fans. The card does not require external power from the PSU and need only a good 400W power supply for its working. The card also supports major features like DirectX 12, Vulkan, FreeSync 2, Relive Capture, Hardware-accelerated H.265 encode/decode and One-click Super Overclocking. Also it is very much affordable and you and you can get this graphics card under 100 dollars only. Overall it is a great card for users who want to upgrade from integrated graphics and needs something powerful and affordable. Display connectors include DVI, HDMI and DisplayPort at rear. This is one of the most powerful graphics cards that does not need external power from the PSU. 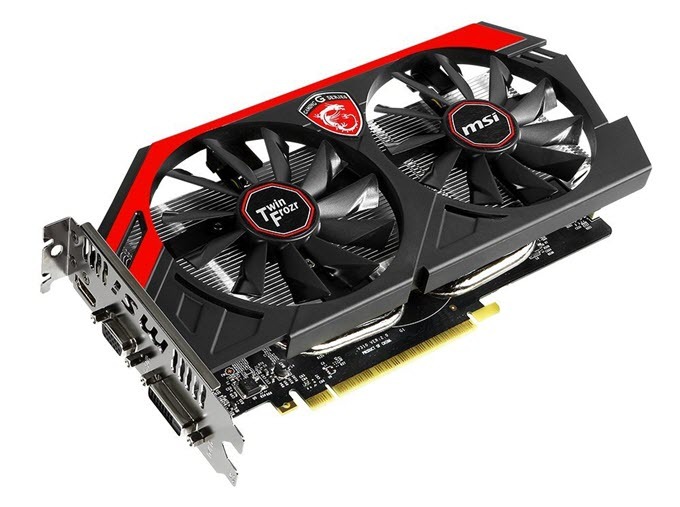 MSI Radeon RX 560 AERO ITX 4G OC is a compact Radeon RX 560 graphics card that comes with 1024 Stream Processors and 4GB GDDR5 memory. 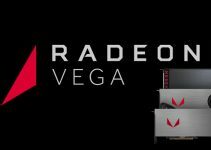 Radeon RX 560 is the successor of Radeon RX 460 graphics card and is also based on the Polaris GPU architecture. This is an OC or Overclocked version which means it has better performance than the reference Radeon RX 560 graphics card having stock frequencies. It is a powerful mid-range graphics card and you can play latest games on medium to high settings at 1080p with playable frame rates (50-60FPS). This card can dominate eSports gaming titles and can run older games or mid-level games on highest settings. Major features of this card include CrossFire multi-GPU support, AMD Eyefinity, AMD FreeSync, DirectX12 / OpenGL 4.5 / Vulkan SPI support, and high-end Military Class 4 components for longer life and stability. To power this card, you only need a good 400W PSU. The connectivity options in card include DVI, HDMI and DisplayPort. At the end I would to say if you are looking for some good gaming graphics card without external power then you cannot find anything better than the ones mentioned above. These graphics cards draw all their power from the PCI Express x16 graphics card slot and needs not more than 400W power supply for their working. They offer good performance in games and they are not expensive either. If you have any queries regarding graphics cards then you can ask me by leaving a comment below. Yes, you can find better and I did. I have to Zotac GTX 1050 Ti OC Edition which has no external power connector and 1392 Base/1506 Boost core speeds and 7ghz memory. It was unbeatable when it was first released and still ranks high among overclocked GTX 1050 Ti cards either with or without an external power connector. Great to know that and i will include this card in the list. I agree highly, but most people that can’t have external power for their graphics card will most likely have a computer that isn’t top notch quality, meaning that they are probably looking for something that isn’t too expensive, because there is no point wasting money on a graphics card that deserves to be in a gaming pc. Moreover, you’re still right, that is better than the ones in the list. Many Thanks. I suggest you to go for Zotac GeForce GTX 1050 Ti Mini. You can also use any other GeForce GTX 1050 Ti card from other brands. Can you please suggest me a graphics card to buy? I have 4 GB of RAM, Intel E7400 CPU @ 2.8 GHz, 720p Monitor @ 60 Hz Refresh Rate with only VGA port, Intel DG31PR motherboard. I would like to play Civilization VI, Cities: Skylines, Anno 2205 at medium settings @ 30 fps or atleast playable rates. I suggest you to go for ZOTAC GeForce GTX 1050 Mini. Can you please suggest me a graphics card to buy that can draw power from the motherboard itself? But it does not have VGA port. What is the remedy? You can use DVI to VGA adapter for VGA port. Some GTX 750TI (ASUS, MSI) have VGA port. Is 2 GB VRAM and 4GB RAM sufficient for me to play Civilization VI and Anno 2205? Or should I go for 1050ti (4GB VRAM)? I have a 720p monitor. If 2 GB is sufficient, should I go for GT 1030? I expect to play the games at 24 fps. Can my E7400 @ 2.8 GHz CPU handle the much faster GTX 1050 or GTX 1050ti and the above mentioned games? Will my CPU be a bottleneck? The minimum requirement for Cities: Skylines is a Core 2 Duo CPU @ 3.0 GHz. So, can I play the game at playable rates? The minimum requirement for Civilization VI is Intel i3 CPU @ 2.5 GHz. So, can I play the game at playable rates? The minimum requirement for Anno 2205 is Intel i5 CPU @ 2.6 GHz. So, can I play the game at playable rates? Thank you very much for replying. I also apologise for troubling you a bit. If you are on budget then GeForce GT 1030 would be fine for your gaming needs. Yes you can play these games at medium settings at 720p with playable frame rates on your PC using GT 1030. For latest games your CPU can be a bottleneck for GTX 1050 and GTX 1050 Ti but that depends on the game too. You can check out some of the best GT 1030 cards here https://graphicscardhub.com/best-geforce-gt-1030/. I suggest you to go for ZOTAC GeForce GTX 1050 Ti Mini. Good day to you! Good Sir,I am trying to upgrade my very old prebuilt Computer. So can my CPU( Intel core 2 duo E7400 @2.8 GHz) handle a Gigabyte Radeon RX 460 Windforce Oc 4G. Yes it can handle Gigabyte Radeon RX 460 Windforce Oc 4G but you will lose out some performance in games that are more CPU intensive. I need your Help in my old pc on what maximum GPU needed so that it will not be bottleneck. If suggest you to go for ZOTAC GeForce GTX 1050 Mini or ZOTAC GeForce GT 1030 2GB GDDR5 if you are on tight budget. Hello there. I recently came across a hp compaq 6200 pro MT. I wanted to know the strongest gpu I can runwith that set-up? It comes with a 320watt psu that cannot be upgraded. I was wanting throw in a 1050 ti since it’s about the most I believe it can handle while only drawing power from the PCI Express x16 slot. Which is all this model is able to due ( no type of extra connectors)(ie. 6 pin or such)being supported. I don;t want to make any other purchases besides the graphics card. Please help! The most powerful graphics card that you can use with hp compaq 6200 pro MT without PSU upgrade is GTX 1050 Ti. I suggest you to go with ZOTAC GeForce GTX 1050 Ti Mini as it does not require external power connector and needs a 300W PSU only. I forgot to mention that I saw a site that states that it works but you would then need to flash the bios of the cpu to make this work. No you don’t need to flash anything. sir, I have a i3 540 & 6 gb ddr3 ram. which gpu should I buy? Dear Mr. Verma. Could you recommend some older cards that offer at least 2 times the power of the HD4400 integrated graphics I currently have in my Optiplex 3020 tower, don’t require external power and are nvidia based. Trying to get by on under $40 used on ebay. Thanks a bunch. William. 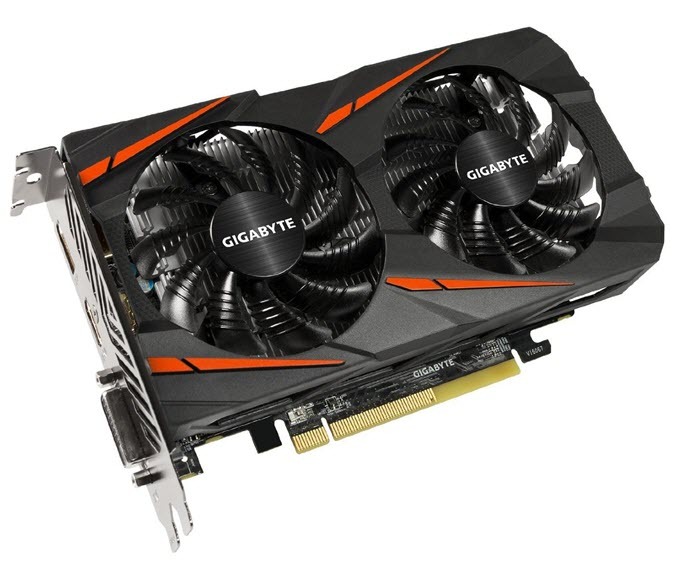 The cheapest card you can get is the GeForce GT 710 2GB DDR3 (MSI/Zotac/Asus) but if you can extend your budget a bit more then it is better to go for Gigabyte GeForce GT 730 2GB GDDR5. Thank you Mr. Verma. Picked up a used GT 730 1GB DDR5 unit off ebay for $30 – should be a perfect match for my limited needs. Hi, an interesting article, thanks. I have a Dell Optiplex i5 9010 which is a small form factor with two low profile slots and a 240 watt power supply that can’t be upgraded. Can you recommend an economical 2GB graphics card for general gaming such as Zwift, which is a multiplayer cycling trainer programme. It can be a bit power hungry due to the number of simultaneous players each with non-screen renderings. Zwift recommend GTX 650 but that appears to ned too much power, I’ve been thinking about something like a passive GT710, but think that it might struggle. Thanks in advance. I suggest you to go for GT 1030 as it would be perfect for your work and it is even better than GTX 650. The card has lower power consumption (30 Watt on average) and will run fine with your power supply. Also, get the GDDR5 version of this card because DDR4 variant is half as fast of the GDDR5 one. My personal recommendation is Gigabyte GeForce GT 1030 Low Profile 2G and you check here for more https://graphicscardhub.com/best-geforce-gt-1030/. Lenovo ThinkStation P320 SFF – Core i7 7700 3.6 GHz – 16 GB – 256 GB SSD. I have just noticed that it only has a 210W PSU. I was going to buy an MIS 1050ti graphics card but the specs say that it requires a 300W PSU, even though it appears to only require 75W to power it. It would seem that the PC can provide that. Would you suggest that I avoid buying one or do you think there’s a chance that it could work or require additional power? If not, do think there’s a card that would be similar and suitable? I think GTX 1050 Ti can work with your current PSU even if it is not a 300W one. Can you please tell that how much current does your PSU have under 12 Volt rail? Thanks for coming back to me. I am sorry but I am not sure that I understand the question. Thank you so much, Akshat. I might try it and then if it struggles then upgrade the PSU. I think it seems like a fairly straightforward job. Sure you can do that.. I hope you don’t mind a question from someone who isn’t a gamer. I’ve taken an interest in machine learning. I can rent time on GPUs to run the models I’m experimenting with but I’d rather run them on my own machine. My target box has a 250 watt power supply, but the minimum I see in the cards you reviewed is a requirement for 300. I’ve looked around and there seems to be a variety of opinions at to whether adding (any) GPU will either a) melt a hole in my motherboard, b) render the box unbootable, or c) it will work because the OEMS all fudge the requirement upward so they don’t get on the wrong side of UL listing. I know I can handle plugging in a board, but have my doubts about swapping in a higher wattage psu. The box already has HDMI so I don’t need the GPU for any video rendering. Also the bus interface is PCI Express 2.0. I read that the 3.0 cards are backward compatible. 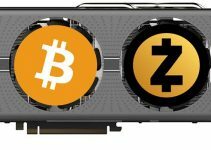 Should I take a chance and get the Zotac 1030? Thank you for organizing the article and sharing so much knowledge. I learned a lot. Zotac GT 1030 2GB GDDR5 will run fine on your system with 250W PSU and PCI-E 2.0 x16 slot, but make sure you have sufficient clearance for it in your case. Also make sure to get the GDDR5 variant only as DDR4 version of this card has much lower performance. Thanks for the prompt response. Also thanks for the bit about the DDR difference. I didn’t know they made variations. I’ll be careful. And I’ll definitely use the link on your review page so you get credit with Amazon. I am totally baffled. It’s listed as low profile, but dimensions on Amazon are 6.77 x 0.63 x 4.38 in. I though it might be a mistake. I checked the Zotec site and that is how they list it. I looked it up this morning and both the MD1 and the MD2 standard for low profile indicate maximum height is 2.536 in. Pictures of the card do not make me think it is 4.38 high. It’s an issue since my desktop box is only 4.0 in. I am not adverse to running with the access panel off, or cutting a slot in it, if necessary, but what is your take on this? Did someone at Zotek make a mistake? I have to say that your passion for this stuff shines through. And it’s obvious that you like to help people. Many, many thanks! Yes, there is definitely some issue with the card’s dimension on the Zotac site and on Amazon. I have personally seen this card on my friend’s PC, and it is a low profile card with maximum height of around 69mm – 70mm (2.7 inch). So, in my opinion you don’t have to worry about its height. Hi Sir! I brought a Athlon 200ge with C.A320m-K Pro v14 mobo. with 2×4 gb 2400 ram. I’m on a very tight budget but i need a video card without changing my 400w psu (no six or 8 pins). Any suggested graphics card? I’m looking forward for GT730 2GB GDDR 5, is it compatible with my hardware? I would rather suggest you to go for GeForce GT 1030 (GDDR5 variant) as it is a much better card, very much affordable and consumes very less power (~35W). It will run fine with your system. My recommendation is Gigabyte GeForce GT 1030 Low Profile 2G or ZOTAC GeForce GT 1030 2GB GDDR5. thank you! is the brand important? i saw PALiT brand selling near my place, slightly used. Palit is a good brand so it is safe, but make sure that the GT 1030 card has GDDR5 memory on it and not the DDR4 one. just wanna share, i saw also the selling gt730 ddr5 i ask the seller that it might be gddr5 with the letter “g” but he sent me pic of the box it is really ddr5 by aFox. is that legit? are ddr5 and gddr5 different? I have not seen any cards with DDR5 memory. I think the card is GDDR5 only as GT 730 comes with either DDR3 or GDDR5 memory. Thank you so much for your help! One last thing, I saw used gt1030 cards with 64bit and 128bit. the one i saw cheaper was 64bit which is just 2,000 php (Philippine Peso). Can I still use 64bit in the future? or be able to run some newer games like Resident Evil 2 remake and PUBG? I’m ok with low graphics settings just to play the game. GT 1030 comes with 64-bit memory only, and yes you can play Resident Evil 2 on it at medium settings. thank you sir, Akshat! So glad I found this site. More power! Thanks for your kind words and you are always welcome. Hi! So we installed MSI Aero RX 560 in an Acer Aspire TC-780 desktop and it crashes some of the games whenever the settings are set to high or maximum. The power supply is rated at 300 W, is this the issue? Thanks. Curious I am looking to get a DFI ITOX BE171 motherboard. It has a Amd RX cpu build in and room for up to 16 gig of ddr3 ram. It has integrated graphics but of course its nothing to talk about. Thing is this motherboard uses what looks like a laptop powercord that plugs into the motherboard. Claims it is 12v 100W which isn’t much at all. I have seen alot of fanless compact cards that claim to only use 30w but they usually say they still want 300w or higher power supplies. The motherboard has a slot that the manual says is for upgrading the video card on it. Just wondering what the best card I can get for this will be? Plan to make a cheap build that will be used to connect to the tv. Plan to use it for some basic stuff like media apps (netflix, hulu, etc) but also would like to do some basic gaming. I want to use this MB because I plan on using an old Xbox case for this PC and having an internal power supply or a large Motherboard would make that rather difficult. I think MSI GeForce GT 1030 2GH LP OC would be perfect for you (https://graphicscardhub.com/best-passively-cooled-graphics-card/). It is a passive card that has 30W of power consumption. The reason why most manufacturers list 300W PSUs for these cards is because they take into account for the whole system and not that card itself. So, this card can easily run on 250W PSU too if the power consumption of other components is on lower side. Hope this helps! Hello Akshat, do you know of a GPU that has better performance than the GT 1030 but uses 30W or less? Price is not an issue. I am afraid there is no such GPU right now. The best option would be Radeon RX 550 which is better than GT 1030 but has TDP of 50W.